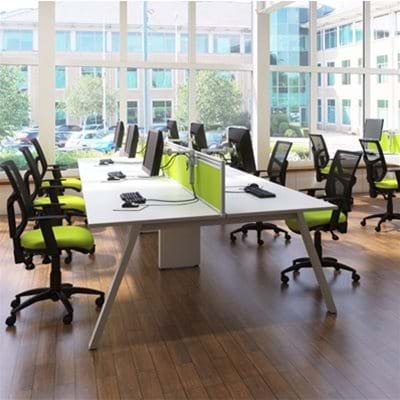 Welcome to Calibre Office Furniture. Allow us to use more than 18 years of passion, dedication and expertise to help you create a truly inspirational workspace and enable your workers to become more productive, creative, and energised. Stand height tables have a continuous steel frame with 50mm diameter circular legs. Available in 12 top finishes and 4 frames finishes.